As sweet as cinnamon: GO Baby - winner. do try to purchase one its so worth it. I am having lots of fun with mine. I am loving the fabrics you've chosen in each of your items!! Especially the half hexagons!! And those layouts for the quilt and table runner are perfect!! I think if I got the chance to own one of these little "Baby's" I would use the Tumber 3.5", Chisels (yes, looking at yours is inspiration enough! ), and the apple core. Thanks for the chance to win one!! you may still be awake. Email me with your snail mail details. 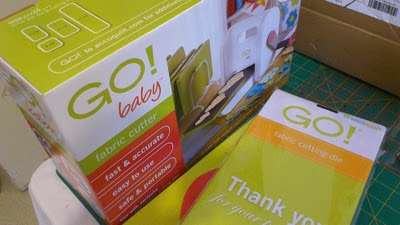 And BIG Thank you to Accuquilt for an amazing giveaway and product. Congratulations to Larissa!!! Oh you are going to have fun with that! Oh wow.. excellent Larissa... have loads of fun..
Larissa is one lucky lady, looking forward to seeing what she creates with her tumblers, chisels and apple cores. Thankyou SO much Dawn!!! That is AMAZING!!!! I'm going to have SOOO much fun with this!!! Wow! Congratulations! haha & yes, Larissa, you do sound very excited :o) What a cool giveaway! I would be very, very excited too...I am for you! I'm sorry that I missed it! 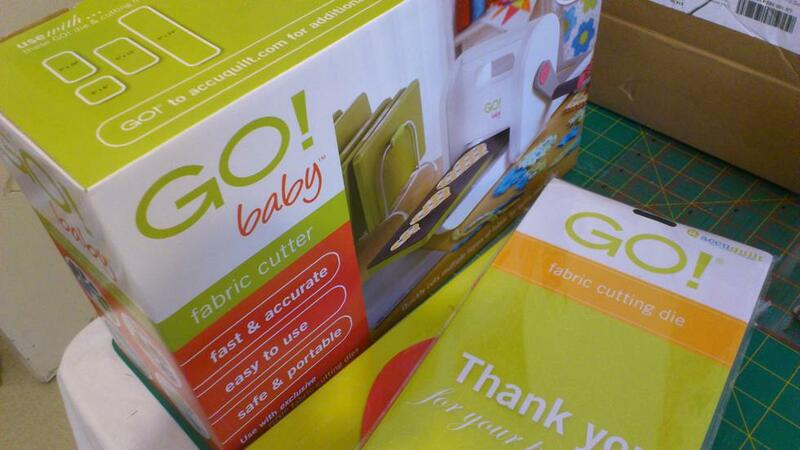 I have not heard of the Go baby before this post. Hm...will need to check it out.